La Bella VitaHotel offers 17th Century opulence in the heart of historic Hitchin. It is truly a Hertfordshire Hotel Hotel with a difference! All the hotel's rooms have been refurbished to an excellent standard, combining traditional Italian styling with the modern comforts today's guests appreciate. The hotel's en suite bedrooms are decorated in traditional Italian fashion, with rich brocade fabrics in abundance. 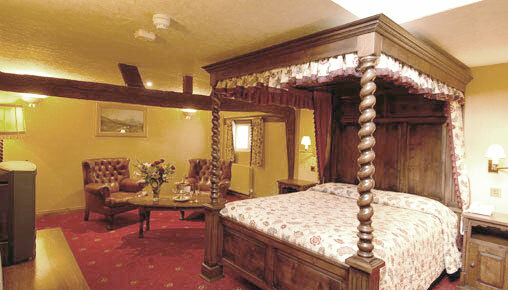 The hotel's furniture is solid wood, much of it antique, and the beds are of exceptional quality. 5 of La Bella Vita's 28 rooms have luxurious four poster beds, making them ideal for those wanting a romantic stay in Hitchin. All rooms have large flat-screen TV's, fridges, and tea & coffee making facilities. And the stylish modern en suite facilities provide showers or baths of a very high standard. 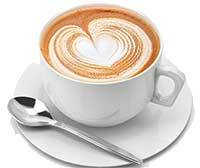 So, whether it's romance or business, La Bella Vita Hotel has rooms in Hitchin suitable for all requirements. With prices from £65 per room per night, it really is fantastic value for an unforgettable experience!